In the capital city of our mystery country, the Malecon seawall and waterfront boulevard is a popular gathering place, especially for young lovers watching the sun drop into the Gulf of Mexico. The Malecon stretches for 5 miles around the heart of the city and is lined with elegant, dilapidated villas. 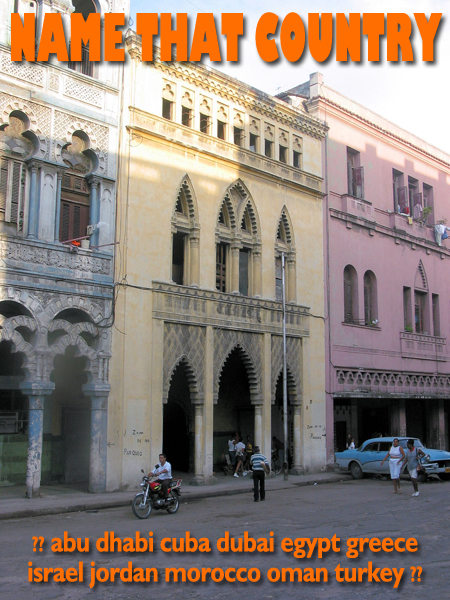 This entry was posted in Cuba, name that country quiz and tagged Cuba, cuba tours by yalla2013. Bookmark the permalink.